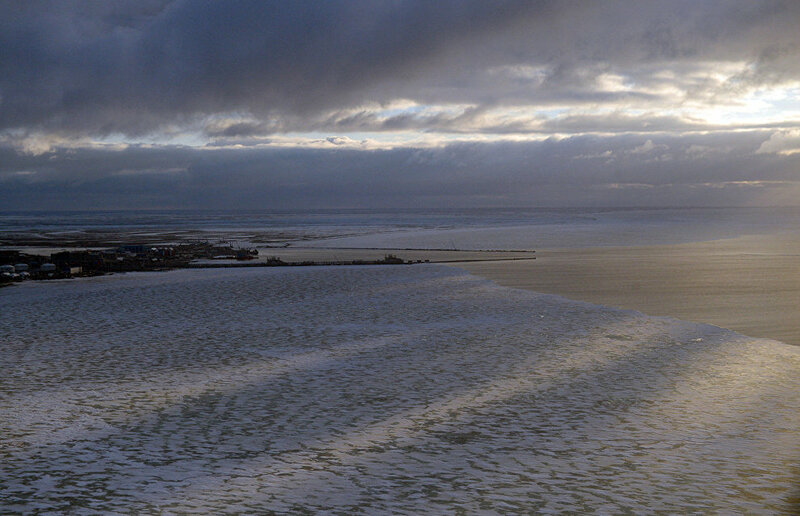 A project to build the Indiga port in the Nenets Autonomous Area can be resumed under the Belousov List, if the Russian Government provides about 200 billion rubles of state subsidies for this purpose, the Kommersant newspaper reports, citing a November 21 presentation by a working group to assist the implementation of new investment projects. The Indiga port is to export 70 million metric tons of freight, including 50 million metric tons of Kuzbass coal, via the Northern Sea Route. There are also plans to build the Sosnogorsk-Indiga railway, part of the Barentskomur project. It would take an estimated 258 billion rubles, including 198 billion rubles of state investment, to build the port and a connecting railway line. Earlier, the port was to have been used for exporting liquefied natural gas (LNG), but the project was abandoned after Rosneft failed to obtain the required license. In early November, Governor of the Nenets Autonomous Area Alexander Tsibulsky told RIA Novosti that the Indiga port expansion project remained a high priority even after Rosneft's withdrawal from it. According to Tsibulsky, new major investors would like to enter the Northern Sea Route via the region. Potential private investors in the Indiga port project include SUEK, Kuzbassrazrezugol., part of the Ural Mining and Metallurgical Company, and AEON Corporation, Kommersant reports. AEON CEO and co-owner Roman Trotsenko told the newspaper that his corporation was looking at the possibility of cooperating with Vitaly Yuzhilin's group on the project (Yuzhilin, a former State Duma deputy and former co-owner of the National Container Company, now part of Global Ports). He said he was ready to invest 60 billion rubles in the port construction project, but that a decision on the railway infrastructure was needed for the venture to go ahead. He said it could take six to eight years to build the port facility that would need to handle mainly Kuzbass coal. SUEK officials declined to comment on possible port investment plans. A source familiar with the Ural Mining and Metallurgical Company's plans said he knew nothing about Kuzbassrazrezugol's involvement in the project, but suggested that some corporate shareholders might have various strategic plans. Market investors reacted skeptically to the project. It is unclear how much the railway infrastructure will cost, and whether private investors will have to finance part of the expenses, the paper's source added. The entire project seems fantastic, all the more so as the infrastructure and the workforce are lacking, he noted.